Have wanted one for some time and this one popped up on eBay the other day for a steal. Swapped on some parts I had and a wheel set I grabbed off the classified. Love it so far. Light enough and just sails along my rough New England roads. I’ll update with some proper pictures when I get a chance to take some. well that is all business, nice build! Love it! Just got back from a trip to New England with my steel breakaway. Steel is definitely right for those roads! Good friend of mine recently got one of these from a shop for a smoking deal and loves it. His build looks almost identical to yours with the Vittoria gumwalls, white tape and saddle. It's his back-up bike but I see him riding it more often than his tarmac SL6 now. Congrats! you have excellent taste, that’s perfect. Much prefer this colour to the newer blue model. if the geometry works for you, i think these Ritcheys are about as good as any custom steel bike, with no wait time! lovely build too. Very nice! I have brand new 2017 Record gruppo and a set of 2017 Bora Ultra 35 tubulars set aside for a steel build but undecided on frame currently - would you say this has enough clearance for those wheels? It will clear 28s without a problem. Not sure I'd go too much bigger. One of the best looking steel frames out there. 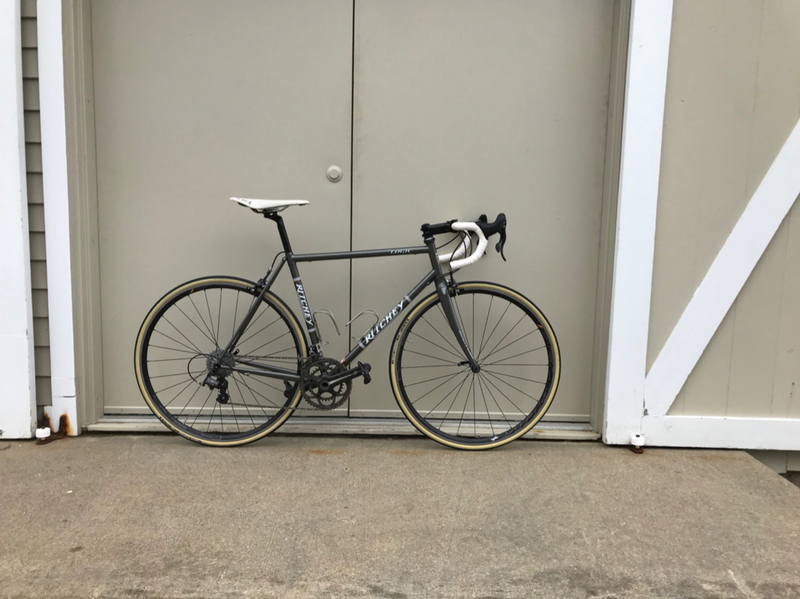 I haven't seen a complete build of a ritchey road logic frameset that I didn't like yet. I agree with Weisan, great frames and always look so damn good.